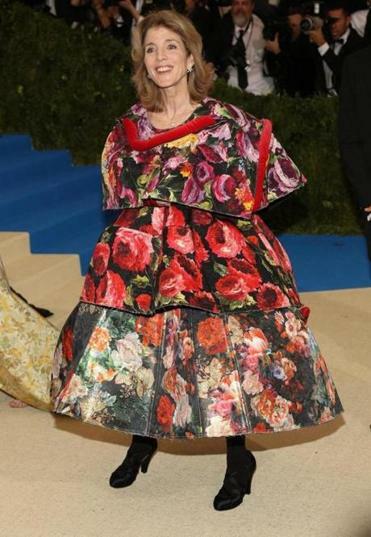 Caroline Kennedy wore a ‘floral sphere’ to the Met Gala. What’s a floral sphere? Caroline Kennedy on the red carpet in the couture Comme des Garçons dress by Rei Kawakubo.